So… it’s been quite some time since I’ve written a new blog post. An embarrassing, long amount of time. I could go on and on with excuse after excuse but instead I will leave you with one. The only one that really matters…. Homesteading takes a lot of work. Since I’ve last written, we have raised and processed Jumbo Cornish Hens. We have raised, processed and sold 8 Tamworth/ Yorkshire pigs. 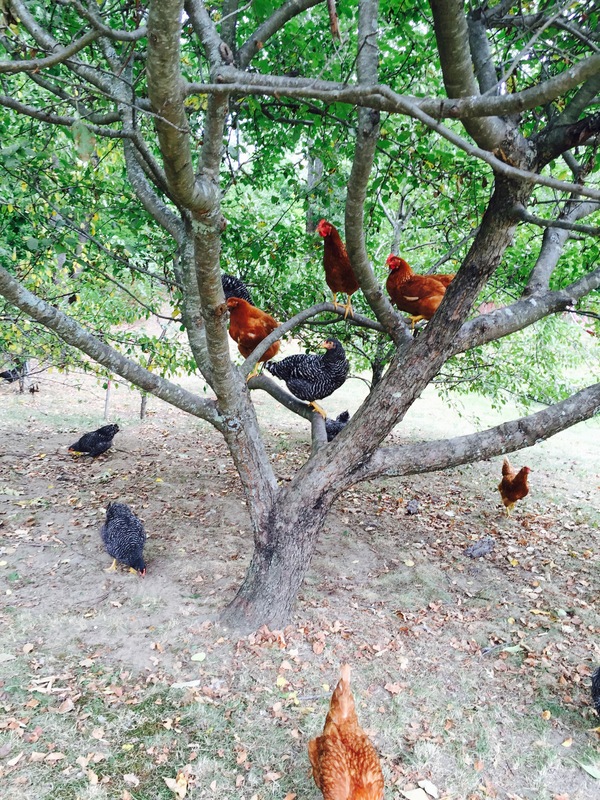 We have added 20 new laying hens (and lost a few to Mother Nature). 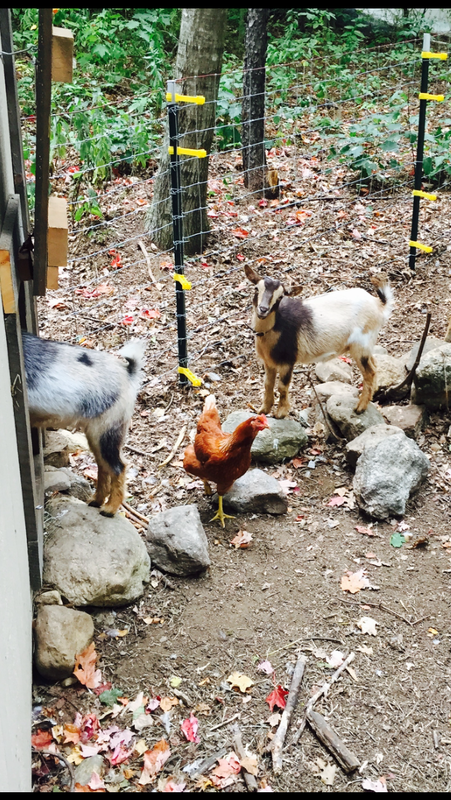 We have purchased our two beautiful Nigerian Dwarf goats, Lizzie and Kikki! Who are just the best and almost ready for breeding. And we (my husband and two amazing friends) built an entirely new barn. I know…. documenting all of our progress probably would have been the way to go instead of taking a near 10 month hiatus. But the work got the best of me. I loved every minute of it. Don’t get me wrong. I reveled in the work. There’s nothing more satisfying than waking up on beautiful sunny morning and taking care of all our animals. 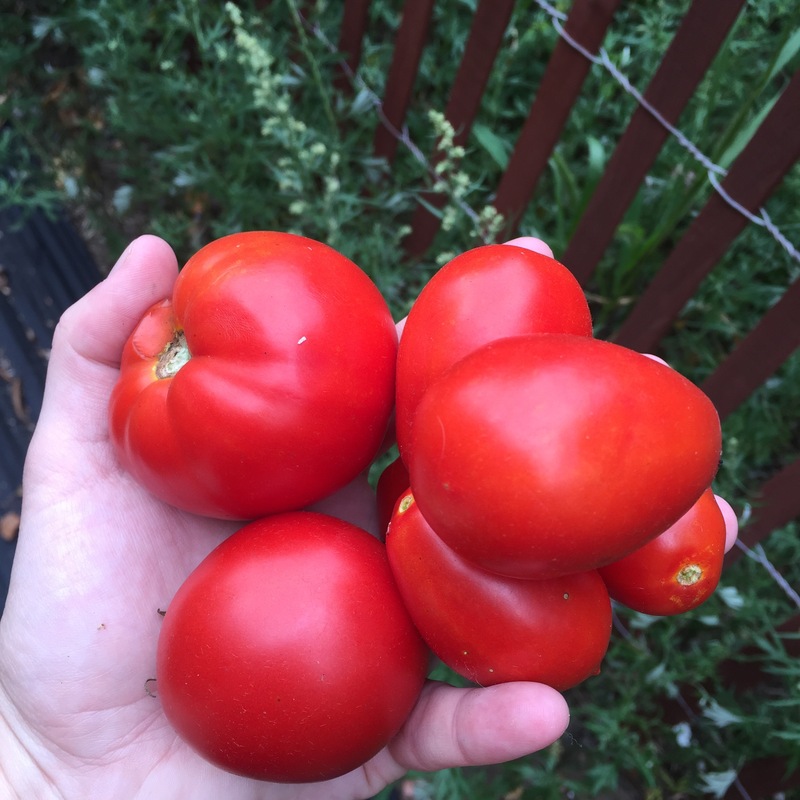 Spending hours in my garden and reaping all we sow at the end of each and every day. Each year we continue on this homesteading adventure, I grow a little smarter. I grow a little more patient. And now that we are in the winter lull, I have the urge to write again. I’m in the kitchen more but my thoughts seem to be constantly surrounding our spring time plans. New fences, new animals, new crops. The list goes on. Winter might be slow, but it’s exciting to plan for the months ahead. I’ve been trying out a whole bunch of new recipes lately. Some I will end up sharing. Some I will end up forgetting about. On purpose… they can’t all be winners! But last night I wanted something familiar. Something comforting and warm. A nor’easter was moving in, and I had a feeling my daughters would be home from school today. Mom was right! Snow day! So I wanted something that I knew would be good for lunch the next day too. Chicken tortellini soup was the answer! 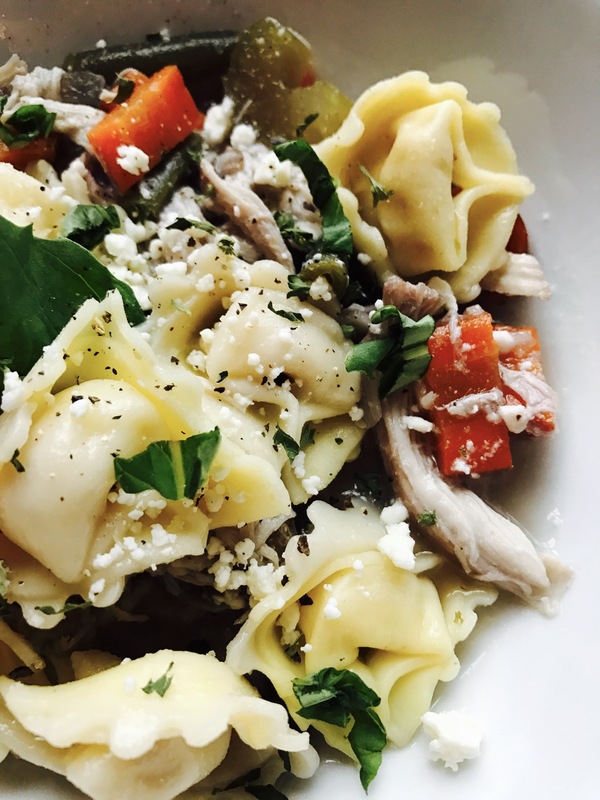 When I was kid, chicken tortellini soup was a reward of sorts for me. A local restaurant we used to frequent (and I still do to this day) made the best chicken tortellini soup! I loved the stuff so much that if I would receive good grades on my report card that is what I wanted as a reward. Soup. Anyway, I made this version in the slow cooker and cooked the tortellini separately just before serving. I wanted that cheesy but crisp bite and was afraid they’d get too mushy in the crock. This is stuff just gives me the warm and fuzzies. I highly recommend it!! Putting it together was so easy! Place your chicken breasts in the middle of your slow cooker. 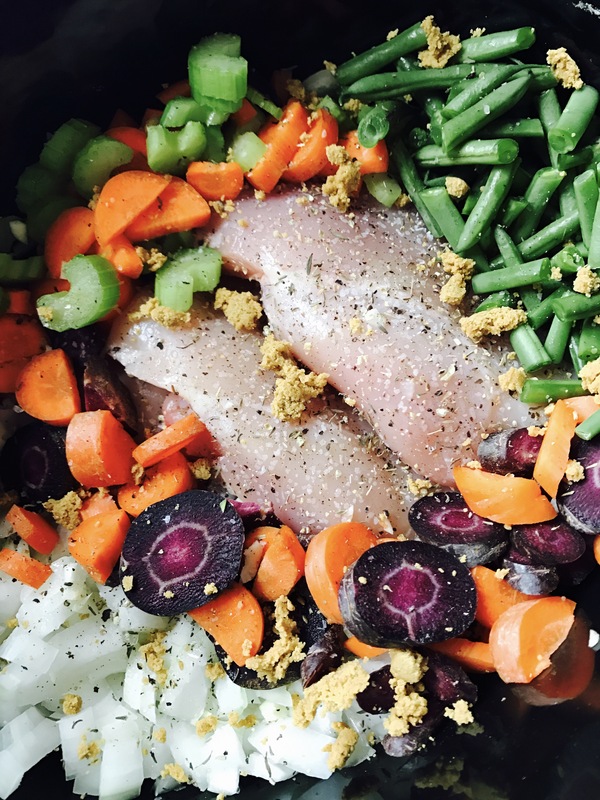 Add your vegetables, salt and pepper, dried herbs and chicken bullion. Pour in your chicken broth and water. Set your slow cooker to low and cook for 8 hours. At the 7.5 hour mark remove the chicken and shred. Add the shredded meat back into the soup and in a separate pot, cook the tortellini according to the package directions. Meanwhile, add the Parmesan cheese to the soup and give it a good stir. 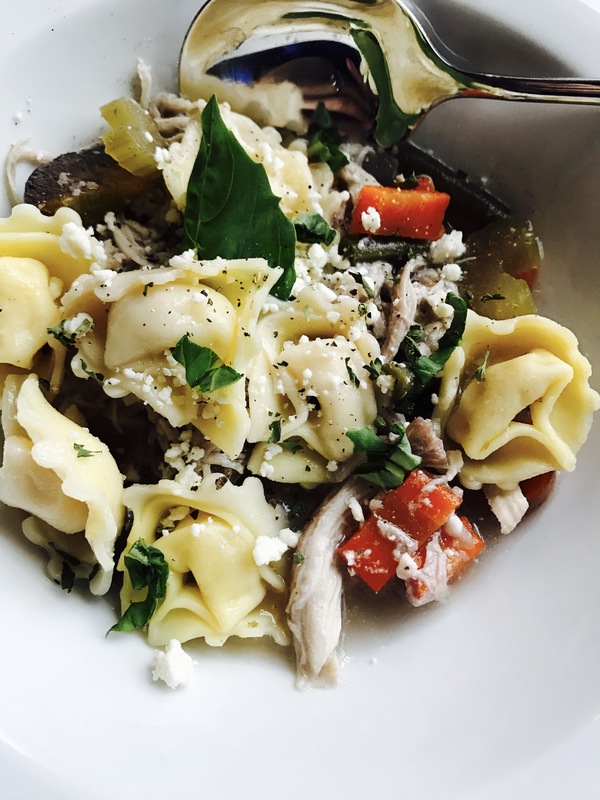 After the tortellini is cooked, strain and toss with a tablespoon of olive oil or your favorite Italian dressing for extra flavor. 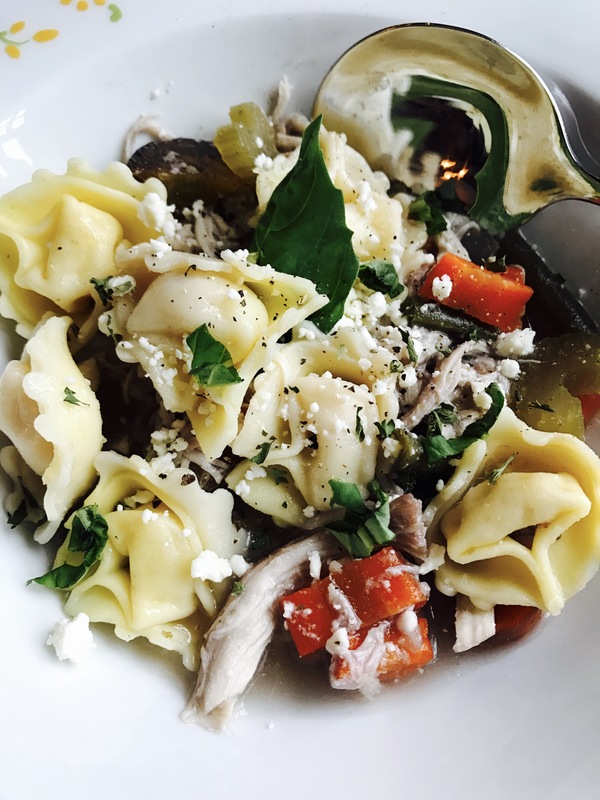 Ladle the hot soup into your serving bowls and top with tortellini, extra Parmesan cheese and fresh basil. Oh I’m jealous of your heamsteading AND your soup!